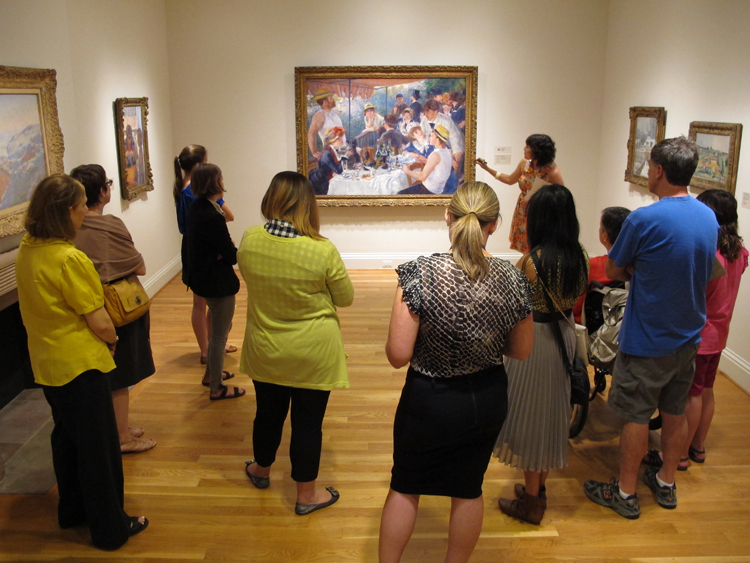 On her last day at the Phillips, Amanda says farewell the way she said hello, with a spotlight tour of, what else, Luncheon of the Boating Party. Who else can discuss the industrial revolution, the advent of tubed oil paints, gallery lighting techniques, the history of the museum, quote T.J. Clarke and Émile Zola, use the word “higgledy-piggledy,” and include a healthy dose of fashion, all with the poise of a film star from a bygone era–in just 15 minutes? We’ll miss her and wish her well! This entry was posted in Experiment Station and tagged Amanda Jirón-Murphy, farewells, luncheon of the boating party, Spotlight Tours. Bookmark the permalink. Thank you Amanda for being such a wonderful mentor and inspiration during my internship at the Phillips! All the Best!